The UP Department of Geography and Philippine Geographical Society (PGS) invite everyone to attend the first Forum on Geographical Studies. The event will feature ongoing research projects of young scholars and researchers of the University of the Philippines on various themes of human geography in relation to exploring the diverse aspects of Philippine society. 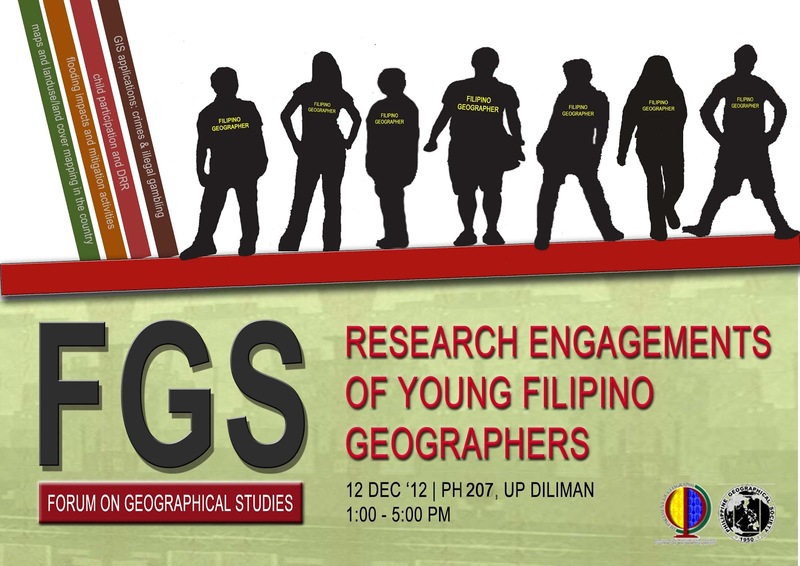 The forum will be on December 12, 2012, 1-5PM, at the Palma Hall 207, UP Diliman, Quezon City.